Processing rates are certainly important but far from the only consideration. In fact, rate improvements only account for 30-40% of the savings BLX generates in Card Processing. BLX auditors have executive level relationships with the largest card processors in the industry. We are able to bypass the entire sales channel and utilize backchannel resources to significantly reduce our clients’ rates. We will save on rates but that’s only the beginning. Another 40-50% of our savings will come from processing techniques and transaction level optimization. Every type of transaction has an optimal processing technique and data set structure that will yield the absolute lowest rate available for each transaction. Your current processor has no incentive to painstakingly tune and optimize every one of your transactions. BLX does. 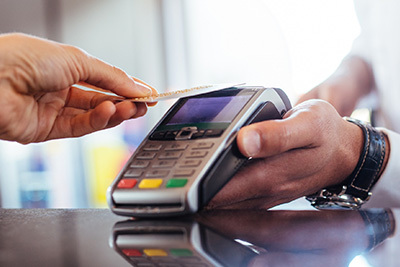 We know how to navigate the convoluted processing structures utilized by the credit card processing industry and cost optimize every single transaction. BLX’s Merchant Services auditing staff spent their entire career in the Card Processing Industry and know how the industry works, how margin is hidden, and how the rates are manipulated to stack fees in the banks’ favor. We average a 95% success rate in Merchant Services fees.